The tour is awesome. Our driver is really kind and we are very comfortable with the car. We had fun in the temples although the wait time for the lempuyang temple is a bit long but we didn't mind because of the pictures that were taken. We had a bad experience from the tour guide in the Besakih temple though because he demanded a payment of 10USD but it says here that we shouldn't pay anything extra for the tour. Despite its status as a tropical paradise, Bali still remains true to its Hindu roots. 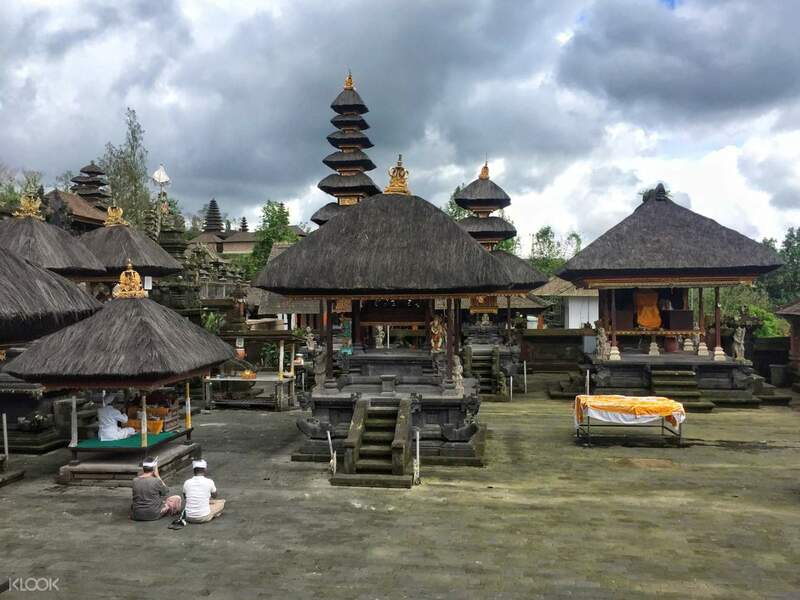 Learn more about the island's religious side with a visit to Bali's two most important religious sites - Lempuyang Temple and Besakih Temple. Start your tour with a quick ride to the base of Gamongan Karangasem mountain, where Lempuyang Temple is perched on its peak. Discover a network of pathways that lead off to 8 sacred temples as you climb the steep tiers of the temple complex. Climb the last of the steps and be rewarded by a gorgeous view of Mount Agung's crater. Make your way next to Besakih Temple, the place of worship for Shiva. 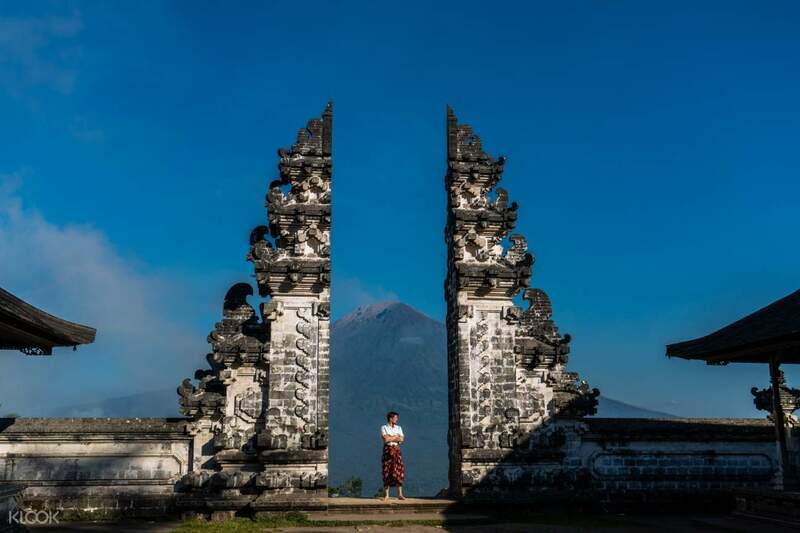 Visit up to 18 separate temples, settled on the slope of Mount Agung. Push your limits with every steep step for a chance to witness how the locals offer their prayers to their almighty god. 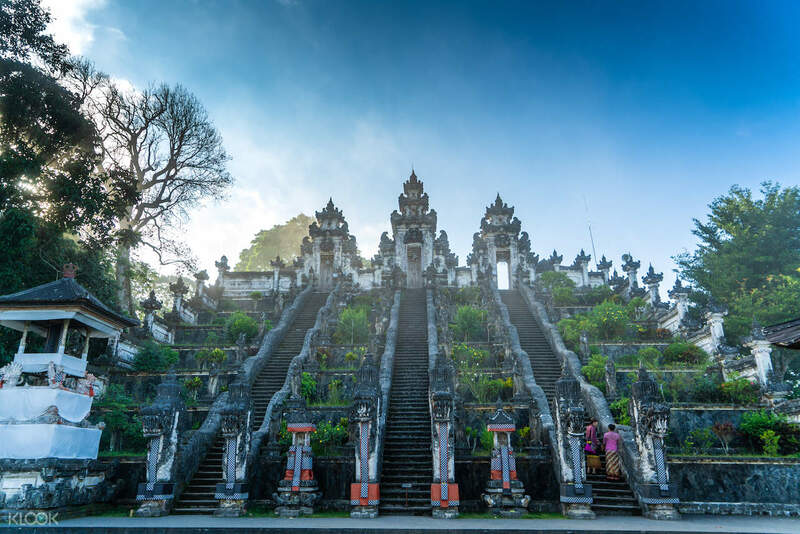 Immerse yourself in the rich Balinese culture and religion with this spiritual tour! Sakti, our driver, was very accomodating. Big ceremony on-going in Pura Lempuyang so there was a lot of traffic and it was also raining so it took us longer than scheduled time but Sakti was very patient with us. Also, he lent us rain coats which was more convenient than umbrellas. Big plus! Pura Lempuyang and Pura Besakih are worth the 2 hrs travel. Sakti, our driver, was very accomodating. Big ceremony on-going in Pura Lempuyang so there was a lot of traffic and it was also raining so it took us longer than scheduled time but Sakti was very patient with us. Also, he lent us rain coats which was more convenient than umbrellas. Big plus! Pura Lempuyang and Pura Besakih are worth the 2 hrs travel. We had a great time visiting the temples. All are very picturesque. We had lunch in Mahagiri Panoramic Resort where it has a nice view of the rice terraces. We had a great time visiting the temples. All are very picturesque. We had lunch in Mahagiri Panoramic Resort where it has a nice view of the rice terraces. Really enjoyed visiting the temples. It was so much fun going on a bus ride up the hill to Lempuyang temple. Our driver / guide Sakti, was so humble & friendly ! He gave us informations and responded well to our questions. Besakih temple is beautiful Excellent service and thank you Klook ! Really enjoyed visiting the temples. It was so much fun going on a bus ride up the hill to Lempuyang temple. Our driver / guide Sakti, was so humble & friendly ! He gave us informations and responded well to our questions. Besakih temple is beautiful Excellent service and thank you Klook ! Our driver was very conversational in English. He was also responsive to our questions especially to the places. This is highly recommended. Our driver was very conversational in English. He was also responsive to our questions especially to the places. This is highly recommended. The tour is awesome. Our driver is really kind and we are very comfortable with the car. We had fun in the temples although the wait time for the lempuyang temple is a bit long but we didn't mind because of the pictures that were taken. We had a bad experience from the tour guide in the Besakih temple though because he demanded a payment of 10USD but it says here that we shouldn't pay anything extra for the tour. The tour is awesome. Our driver is really kind and we are very comfortable with the car. We had fun in the temples although the wait time for the lempuyang temple is a bit long but we didn't mind because of the pictures that were taken. We had a bad experience from the tour guide in the Besakih temple though because he demanded a payment of 10USD but it says here that we shouldn't pay anything extra for the tour. The driver was on time. The temples where we've been were great specially with the view of the mountains. We did like 2000 steps on the way to the top. But the driver referred us to tour guides which we dont actually need actually and then asked from tips from us..not bad at all. Would recommend Klook for everyone when booking a tour. The driver was on time. The temples where we've been were great specially with the view of the mountains. We did like 2000 steps on the way to the top. But the driver referred us to tour guides which we dont actually need actually and then asked from tips from us..not bad at all. Would recommend Klook for everyone when booking a tour. This is a walking tour with a bit of a hike going up the temples. My mom and I had a great time getting our legs working. The temples were like the photos and our tour guide have been giving us helpful tips. I only wished I’ve known that I’ll need more cash(IDR) for some of the locals who “expect” to be tipped. Otherwise, it was absolutely worthwhile. Be prepared for the adventure! This is a walking tour with a bit of a hike going up the temples. My mom and I had a great time getting our legs working. The temples were like the photos and our tour guide have been giving us helpful tips. I only wished I’ve known that I’ll need more cash(IDR) for some of the locals who “expect” to be tipped. Otherwise, it was absolutely worthwhile. Be prepared for the adventure! There is an abundance of temples to visit in Bali! It takes a while to get there, and there is lots of walking and stairs! Well worth the price! There is an abundance of temples to visit in Bali! It takes a while to get there, and there is lots of walking and stairs! Well worth the price! We enjoyed the tour. The driver and local guides were kind and accommodating. The car is also fine. We were able to witness the ceremony. We enjoyed the tour. The driver and local guides were kind and accommodating. The car is also fine. We were able to witness the ceremony.